Last Tuesday, in the article entitled True Story: Warning to Zest Air Passengers and Potential Customers, I wrote about our problem when Zest Air decided to cancel all flights from Cebu to Davao. Now I'm glad to tell everyone that Zest Air finally conceded and gave us a better option than simply refunding our tickets. Here's what happened. After trying to contact them through various office numbers, my friends decided to go to their Airport office for the last time. If this turns out unsuccessful, we'll just buy a new ticket and pursue a legal solution. It was a tough decision since the prevailing one-way ticket prices at that time was around 2500 Pesos at the minimum.This is far from the 700 pesos Zest Air offered to refund. But our event in Davao is of utmost importance so we have no choice but to proceed. Even if it's late Tuesday night, around 10PM, they proceeded to Zest Air office. I decided not to go because, in my mind, I have already gave up the possibility of Zest Air rebooking our tickets. The next morning though, a pleasant news came to me as I received a message telling me that Zest Air finally decided to book us a new ticket. It's a flight from Cebu to Manila and then Manila to Davao. 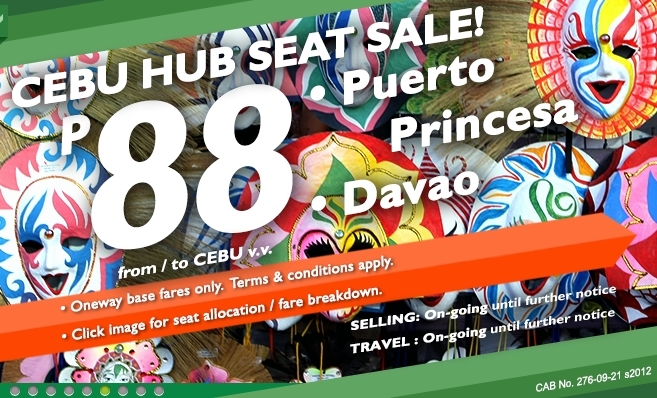 Though we still prefer a straight Cebu-Davao flight, we accepted the offer. Will I Ever Fly Zest Air Again? Probably a more appropriate question is: Will I ever trust Zest Air again? Yes, I believe that every time a customer purchases a product or service, it's an act of trust, trusting that the product is worth the value paid or the provider will give the service as agreed during the purchase. Although in the final analysis, Zest Air did what they ought to do, it took huge effort on our part to get what we deserved based on the existing law. Anxiety, inconvenience and wasted time were just things that can't be paid paid back. I speak for myself when I say, I don't trust Zest Air anymore. But in view of the fact that businesses tends to improve through time and that Zest Air and Air Asia now merged into single airline company, I'm not totally closing my door in doing business with them. But until such time when their service is worth their price, I won't fly with them. How to Make Leche Flan? How To Get To Bantayan Island in Cebu? Zubuchon - Probably, the Tastiest Lechon Ever!